Over the past couple of weeks I have been doing Bonnie’s Gray’s Whispers of Rest Challenge in preparation for her soon to be released book Whispers of Rest –a unique 40-day devotional detox that will guide you to a place of intimate rest. Today’s challenge is Focus, something that I do struggle with as curious about so many things! “I run in the path of your commands for you have set my heart free” Psalm 119. One of my favourite places to ‘run’ that is close to home is Elk Island National Park. It is also a bison park, so you will see the buffalo roaming free too! They are free, yet they are also fenced in for protection. That’s what God does for us too, doesn’t He? His fences are protection. His commands for us bring freedom. When we focus on His ways and His path, we gain peace by being in the freedom in who He made us to be. We become ourselves, unattached to the shiny things of this world that do not last, and attached to the source that is forever. To help focus, I am taking time to listen to God’s whispers more, and pay attention to that unsettling feeling when my focus is off the path of what is best for me, others, and the world. There are so many shiny objects! Yet, there really is only one true Light, isn’t there? What are the ways that help you stay focused away from the shiny objects and on the Light? 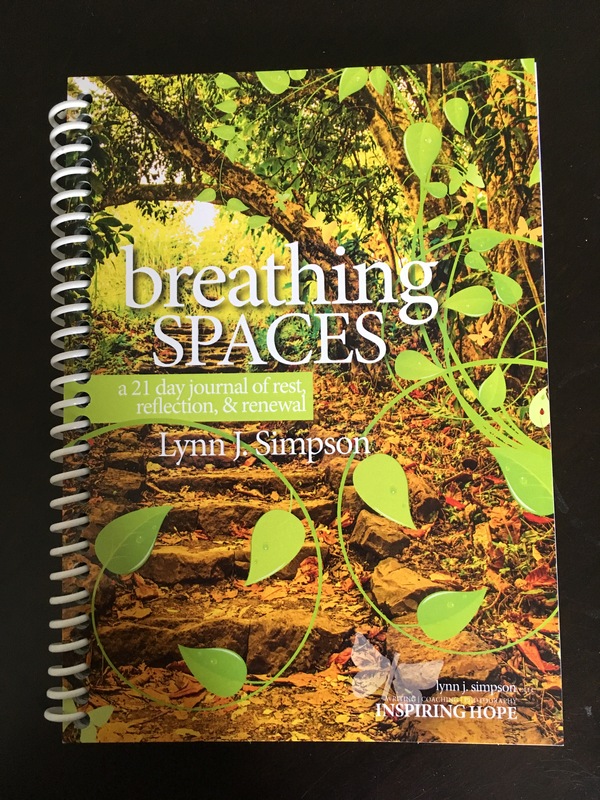 In a couple of weeks, I’ll be launching my new journal-Breathing Spaces, a 21 day journal of rest, reflection, & renewal. For the first 21 days of June, I’ll be posting a Breathing Space picture and the day’s reflection question on my Facebook Page and Instagram. I hope you’ll follow and join us, for one day, or 10 days, or all of them! And even post your own Breathing Spaces pictures using the hashtag #inspiringhopeinyou. We’d love to see your places of rest and renewal! Did you know that just looking at an image of nature can lower stress levels and increase happiness? And the smell of coffee? Oh, so glad for that!! I’m glad you are pausing and breathing Him in Sandi! Yay for coffee and for deep breathing spaces where we invite God to join us. I have been so scattered recently and find myself starting and stopping multiple things. I am in the process of moving and selling my condo so life is upside down for sure. 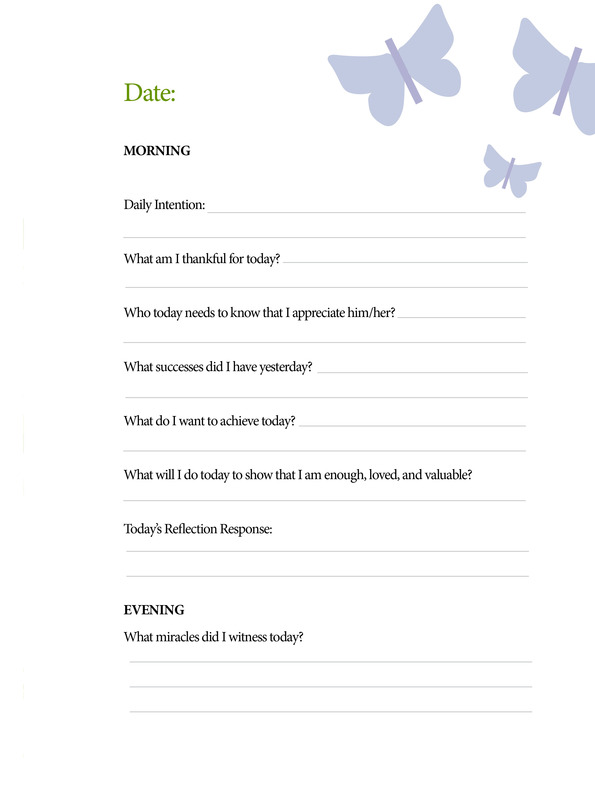 I am so excited about your 21 day journal for rest. I’ll have to make sure I follow you in all the social media places. This is perfect timing. Blessed by your writing and willingness to allow God to lead you. Hi Mary! Yes, we do go through times where “life is upside down.” My hope is you rest in knowing it is just a time where change is happening, and God’s got it, and it’s going to be okay! 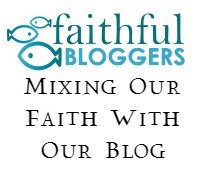 I’m excited (and nervous) about the journey God’s got me on, and blessed by my blogging friends, fellow creators and writers, who share their hearts and journeys, like you! 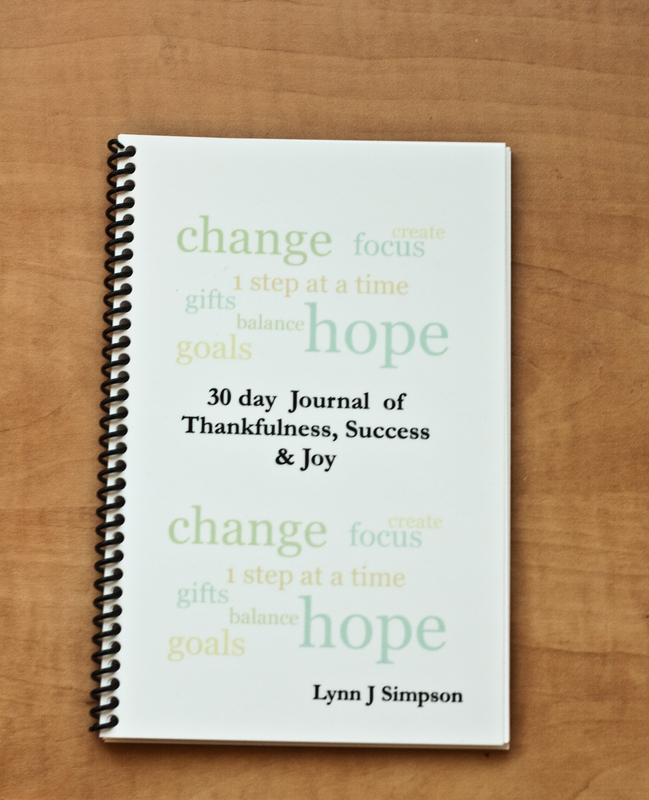 Congratulations on your new journal, Lynn! We definitely need those breathing spaces, don’t we? I just checked for your book on Amazon, but I didn’t see it. I am not on Facebook, but I have considered Instagram. I’m enjoying Bonnie’s new book, too. Love and hugs to you! Yes! I know I need breathing spaces! 🙂 The journal will be direct order from my website in June. Maybe Amazon in the future. But can still see parts of it too on Instgram if your comfortable with that. I like instagram for seeing others beautiful photography too! Hugs back to you! Congratulations on the almost launch of your journal! What great news, Lynn! Hi Jeanne, I loved reading how looking at your photos make you happy. I think, too, that is why scrapbooking became so popular in our technology driven society. We need to balance out our fast moving world with activities like looking at photos. You’ve reminded me too, how important it is to capture those family moments! I take lots of photos of nature, but not enough of my family. May you have some breathing spaces even in this fast pace time. Ah the stress is melting from my shoulders just reading your word! What a beautiful park you run through..it is stunning..I can feel that wet air, so different then Southern Ca. Nature certainly brings my focus back to where it is needed, and lately I’ve been doing yoga again, and somatic body work that helps me just breathe into tight places. And always prayer and Bible reading..
Glad you felt stress melting from your shoulders, Kathy! And so true that prayer and reading His word of truths can calm our hearts and minds. Always. Hi Lynn! What an accomplishment! Congratulations on your devotional, and I have to say that the cover is so attractive! Is that your photography and design? Just beautiful. Focus is a great thing to lean into, I’m there, I might as well be ‘all there’. But I do have to be reminded of it! Thank you Ceil. Yes, the cover photo is mine, and in the journal are 21 of my photos, a breathing space for everyday. I worked with designer who created the vine graphics. She’s an artist and did such a pretty job! Have a wonderful, God focus-directed week! I love how you are capturing these beautiful landscapes and incorporating God’s message into them. 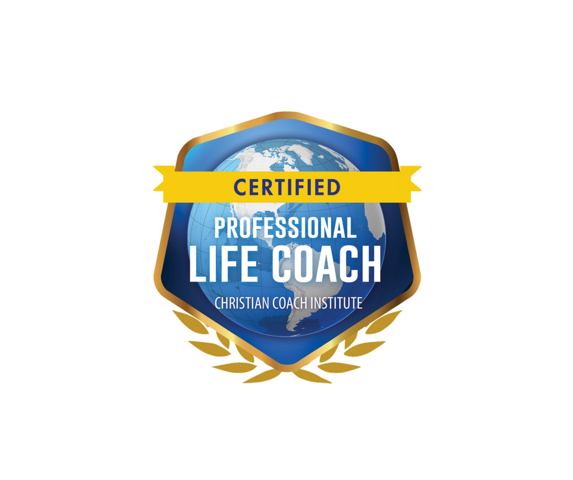 I agree that God gave us freedom, free will, and the liberty to make our own choices; yet, He is also fencing us with His commands/guidelines that protect our well being. What an inspiring reflection Lynn! It’s so true that there is much to distract us and overwhelm the whispers of God that we could be tuning into — it’s a discipline, isn’t it? Practicing slowness and a purposeful focus is an ever-continuing journey and well worth the effort! Ah … your pictures are so inviting, friend. They breathe peace, serenity, hope. What a lovely gift this evening! Always so grateful for your encouragement Chris! I’ll be starting June 1 st with the Breathing Spaces post on FB and Instagram, and what a great idea to share here more too. My girlfriend said the other day she’s missing my writing. I think that was a message from God too, to get back to writing as my ministry for Him. I hope the breathing spaces are rest for weary souls. What a blessing that would be! Not sure how I missed this…traveling for grandchildren’s graduations in all likelihood!! I love this and the pics are so refreshing! !